In a time when more and more practitioners are moving away from the solo practice model, this particular question is on the minds of many in private practice. Here are some guidelines. Successful contractual agreements with an associate should be based on trust, honesty, ethical behaviour, a fair agreement, and a demand for services. It is essential that both practitioners are ethical health care providers who focus on their patients. They must trust each other to provide high-quality care. The hiring principal must have a valid reason for hiring an associate, e.g. being unable to meet the patient demands of a growing practice or wanting to retire. Healthcare practitioners seeking to enter into a successful contractual agreement must discuss their wants and needs prior to writing and signing the contract. They must also decide if the new practitioner will join the practice as an employee or as an independent contractor. A successful contractual agreement should address salary, bonus incentives, malpractice and health benefits package, as well as responsibilities and hours/days of operation. The contract should be very specific as to hours, rate of pay, restrictions, and responsibilities. Responsibilities and boundaries need to be clearly defined before entering into any formal agreements. What matters most in an associate relationship is a clearly defined business relationship: what is shared, what is not and for shared resources, like the CA or office equipment, a clearly stated policy on what charges an associate can expect. The owner of the practice is responsible for developing the work schedule, but each practitioner is responsible for determining patient care needs, medical necessity and providing high-quality care. Both practitioners will establish their own patient base. 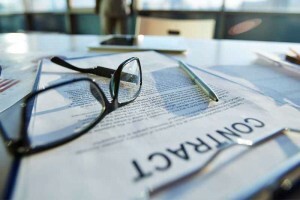 Contractual agreements should be a minimum of one year with evaluations every six months or yearly, and a final review before the end of the contract date, with the proper feedback and proposals to either end the agreement or renew for another year, or lead to a more permanent position or partnership. In my opinion, a successful contractual agreement always slightly favours the associate, rather than the principal of the practice. This can improve the relationship in the sense that the associate can understand that the principal is looking after them and has a sincere interest in their success. The associate now may feel a desire to work that little bit extra. It may also decrease associate turnover since not many associates would want to leave the practice where they are respected enough for their skills and efforts. Naturally there should be some safety clause in the contract to assure that this scenario does not disadvantage the principal. Following these guidelines will ensure a win-win situation with satisfaction between the practice principal, associate practitioners, staff, and patients. Both parties should show mutual respect and conduct themselves in a professional manner, remembering that they are both qualified healthcare professionals bringing their own unique set of skills and work experience to the table.